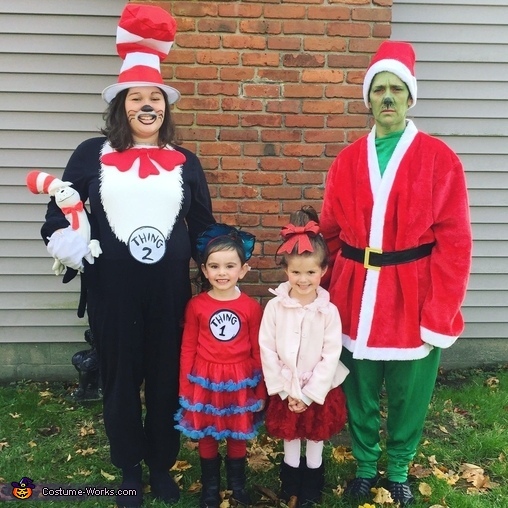 Me Amanda am Cat in the hat my daughter Cadence is thing 1 and my unborn son is thing 2. My mom is the grinch and my cousin Layla is Cindy Lou Who. We put a toilet paper roll in her hair to make it stick up in the air.